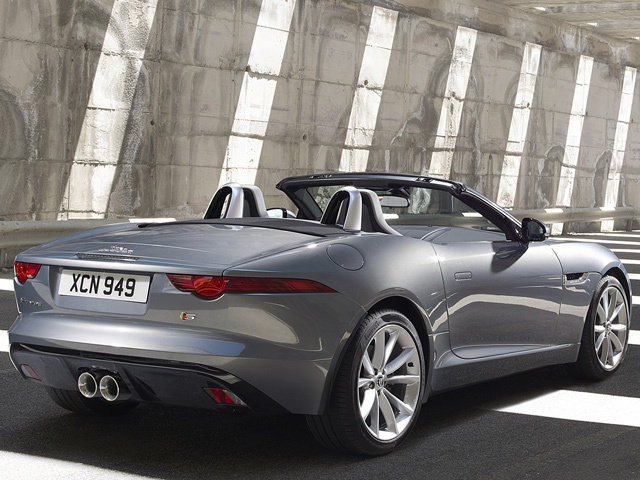 Jaguar gets into sportscar territory with the debut of the long-awaited F-Type roadster at the Paris Motor Show. 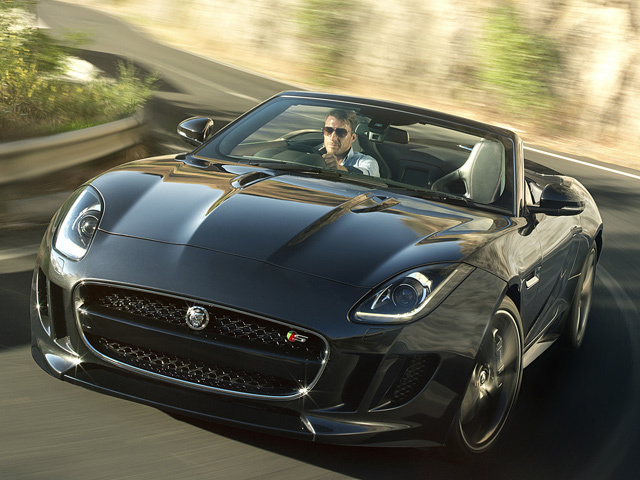 After months upon months of teasers and anticipation, Jaguar has finally lifted the veil on the all-new 2014 Jaguar F-Type. 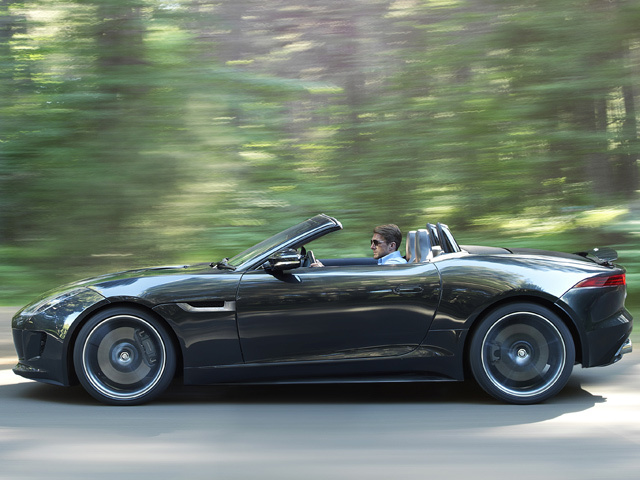 At launch, the new roadster, which takes its inspiration from the classic E-Type, will be available initially as a convertible, a coupe version is slated to follow in the coming months.The all-aluminum F-Type will come in three trims: F-Type, F-Type S and F-Type S V8. The difference comes down to its engine. 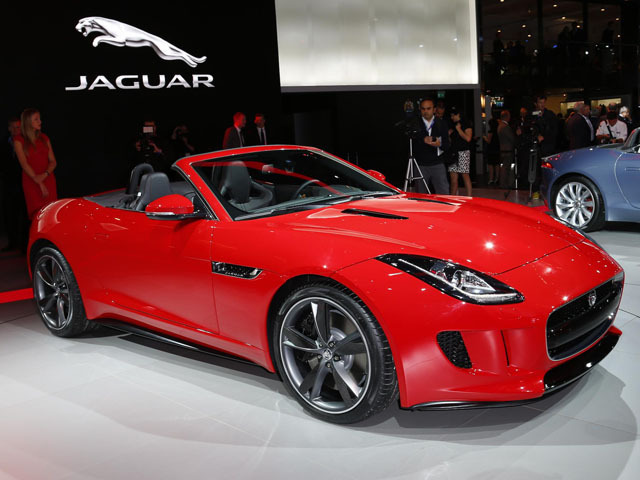 The base model starts with a supercharged 3.0-liter V6 producing 340 horsepower and 332 pound-feet of torque.The F-Type S upgrades with a 380hp and 339 lb-ft version of the same engine, and the F-Type S V8 packs a supercharged 5.0 liter V8 with 495 hp and 460 lb-ft of torque. What a great looking car!